2. Get your personalized Weight Management Meal Plan that will meet your body unique needs (lose / gain / maintain weight), and achieve your best shape! 3. 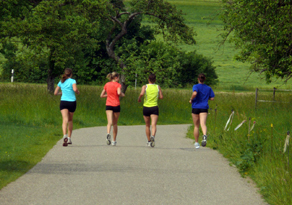 Choose One-on-One or Group Nutrition Coaching, and get motivation & support in your journey. 4. Register, and stay in touch with your Personal Coach through your web journal on iChange.com. Simple. Effective. FREE. 5. Join one of our Weight Loss Challenges and win cash! 8. Join our Book Club. 9. Become a VIP Member and receive a 10% - 35% discount on all Herbalife products. 10. Business Opportunity – Become a Wellness Coach. There are no recurring charges at our Club, and we are fully insured. Register Now - Contact us, or visit us at the Club!